– Trust comes from doing, not saying what you will do, but showing who you are and what your brand is about through action. – Doing is the catalyst that either builds or destroys trust with ones following, community and prospects. Business relationships can be described as a connection with a person or brand that includes emotional and personal affinity, appreciation and trust. In today’s business world, the lines between personal and business relationships are highly blurred. In social media marketing they no longer exist in the traditional sense, in that business IS personal on many levels. Relationships often drive the connections, communication and willingness to investigate or buy. In social media marketing, there are three distinct stages of trust that brands and marketers need to be aware of. Establishing – Whether a social connection will be established is often governed by first impressions. Similar to the offline world, a bad first impression will result in no further engagement with a brand, person or company representative. First contact: The first contact you have with a connection sets the stage. If that contact is spam, you have likely killed any possible relationship. What is spam in social media? Anything that tags or direct messages a connection while pitching what you do. There’s nothing worse to kill an opportunity of building a relationship. Bio: Think of your social media profile/bio as your store front. If your windows are dirty, your message unclear or anything looks bad, your prospect won’t bother walking in the door. Stream: Most people in social media check a new connection’s stream to see how they conduct themselves. They look to see if you are spamming or only posting about yourself or if you are engaging, sharing valuable content. What they see in your stream is what they believe they can expect in a relationship with your or your brand on social media. Remember – people are watching! Value: Building relationships is predicated on value. Do you provide selfless, relevant value to your audience? Do you share their content? Do you help them achieve their goals? Grateful: Do you show you’re grateful when your relationships help you? When they share your content, do you thank them? Just as in real-life, showing thankfulness to relationships builds those relationships. Social media is no different. Response: One of the most important ways to build relationships once they are established is to respond. All too often people ignore mentions, questions or conversations. Nothing does more to kill furthering of a relationship is to be “too good” to respond. 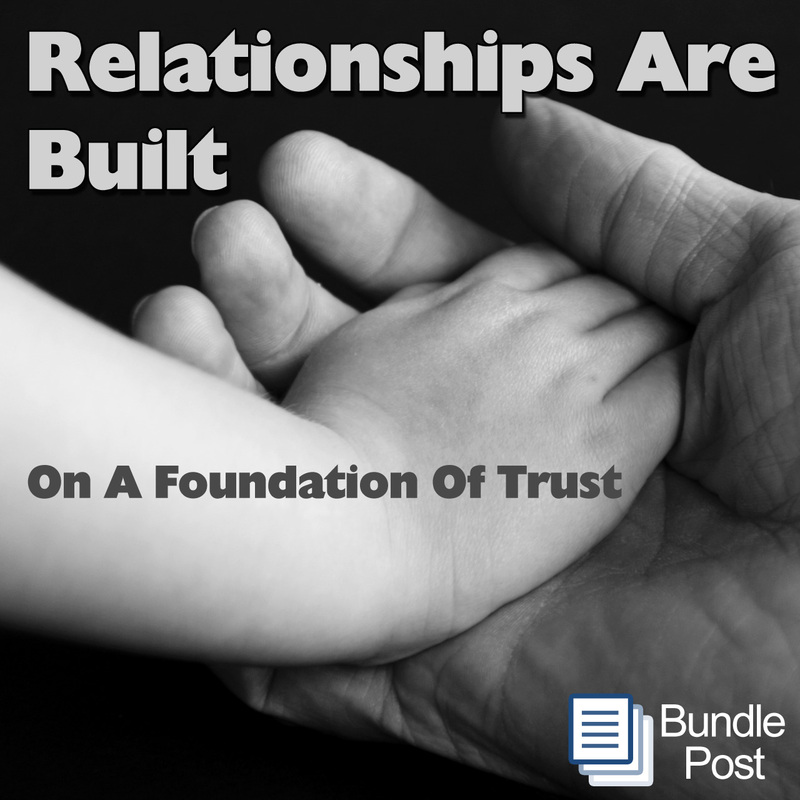 Maintaining – Maintaining trust you have earned is a continuation of repeated impressions and the three components of relationship building. It is active and ongoing, constantly being evaluated by others subconsciously. Your conscious choice to engage in relationship building advances the opportunity with the connections you have and dramatically increases them with the relationships you have in process. Great article, and I love the outline of how these 3 components of building relationships can be applied. Businesses and brands marketing themselves online still don’t seem to understand. In many cases, it’s not about features or even pricing. It’s the trust they feel for your brand based on the relationship they have with you. well said Anton. Relationships die or thrive on trust! Appreciate you man! Robert, excellent post. You touch on some really major, and often overlooked, ways of engaging. It’s funny how you put people behind a computer and they don’t feel they have to communicate. Thanks for bringing back the basics of Social Media, and just being a good person. I am humbled by your comment Antonio! Thank you for your kind support. When people forget that social media is an extended way of building relationships and treat it like a free for all, is when they lose trust before they even begin. Through the years I’ve consistently reminded myself and my clients, to think of the online world as just another means of creating community and networks. You certainly would not walk into a fancy party in ripped jeans and start pitching your wares. Nor would you come to a casual networking even in a tuxedo and slam your tag line down the throat of each new person you meet. Yet we so often see the online version of this behavior on social media sites. I love how you broke this informative post into instructive steps…and included the importance of first impressions. Great article. Thank you. You are so right Deborah. So glad you liked it. So much yes! I agree. It’s amazing to me how people think that social media is a short-cut to the relationship process.